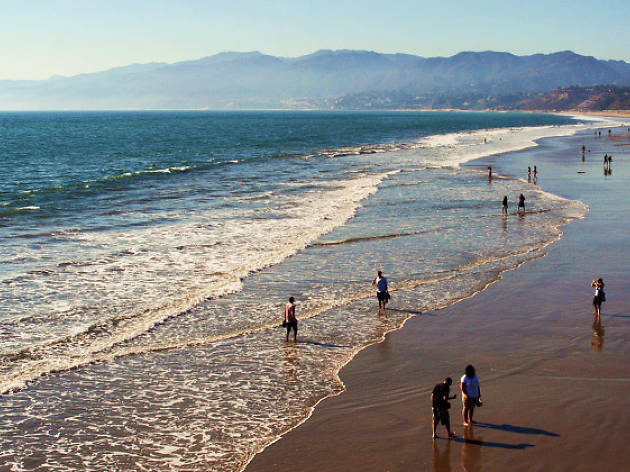 This big beach, which effectively runs the length of Santa Monica itself, is usually crowded and has a festive, summer-holiday feel to it. 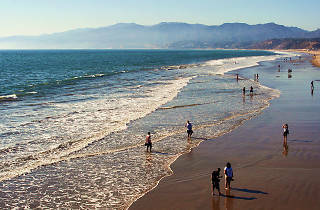 The big attraction is Santa Monica Pier (on a level with Colorado Avenue), roughly three city blocks in length and packed with typical and endearingly low-tech distractions: pier fishing, video arcades, free twilight dance concerts in summer, fortune tellers, fairground games, rides and Ferris wheel. This beach has so much to offer for both tourists and locals. Are you a fitness enthusiast? Rent a bike or rollerblades to cruise along the beachfront sidewalk. On a family vacation? Check out the arcade and carnival at the end of the pier. Foodie? Grab a burger and a shake on the boardwalk or check out the many restaurants on the 3rd Street Promenade. Just enjoy people watching? Explore the outdoor gym located right on the sand at the south side of the pier. This beach has a little bit of everything!